Michigan was hit hard with the United States housing and financial crisis. Every city, county, and township were challenged with foreclosed homes. Many of the abandoned homes in Eaton County were a result of tax foreclosures. 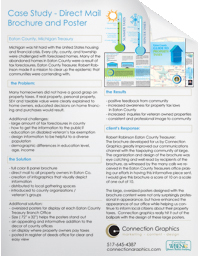 Eaton County Treasurer, Robert Robinson made it a mission to clear up the epidemic that communities were contending with. 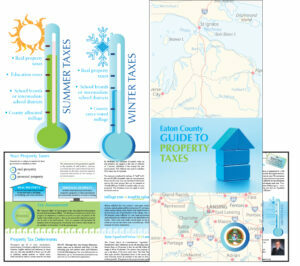 Many homeowners did not have a good grasp on property taxes. If real property, personal property, SEV and taxable value were clearly explained to home owners, educated decisions on home financing and purchases would result. how to get the information to the public?